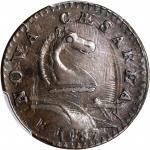 1796 Myddelton Token. W-8900, Breen-1074. Rarity-7. Copper. Proof-63 BN (PCGS).166.6 grains. This is a richly original example of an elusive and eagerly sought type. Otherwise satiny in finish, the surfaces reveal modest hints of semi-reflectivity in the fields as the coin dips into a light. Smartly impressed with sharp to full detail throughout the design, this is a lovely specimen eagerly awaiting inclusion in an another advanced cabinet. While never intended to circulate in America, this piece has a profound story to tell about American immigration in the post-Revolutionary period. Philip Parry Price Myddelton controlled a large piece of real estate in Kentucky but, while attempting to people it with useful tradesmen interested in emigrating from England, ran afoul of a British law meant to stop the exporting of valuable laborers. The project ended, but not before the dies for Myddeltons tokens, executed by Conrad Kuchler at Boulton and Watt, had been executed. 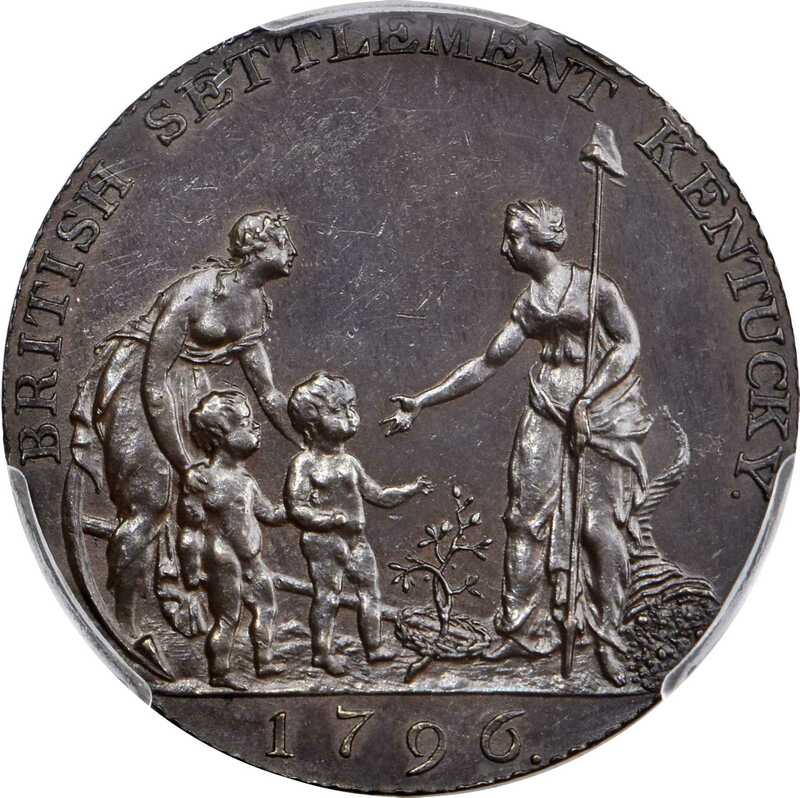 The tokens became popular among the collectors of the day, and most were preserved in contemporary British cabinets.pThe obverse motif depicts allegorical figures: Hope presenting two small children "genii" to Liberty. We note that both women have remarkably masculine faces, and Hopes face appears to have been modeled after King George III. The face of Liberty is possibly that of Henry Laurens (1724 to 1792) who was a one-time president of the Continental Congress, charged with treason by the British government, and held prisoner in the Tower of London after capture at sea during the War for Independence (he is said to be the only American ever held there). As Hope is depicted as bowing toward an upright Liberty, by inference we seem to have the King of England bowing before an accused traitor -- Henry Laurens -- an image that may well have been regarded as seditious at the time, if anyone had noticed. 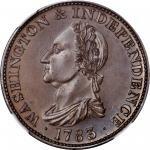 Walter Breen estimated a surviving population of just eight to 10 specimens in copper, making this metallic composition nearly twice as rare as the Myddelton token in silver (fewer than 20 known).From the Greenway Collection. 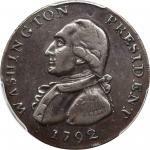 Earlier from our (Stacks) sale of the Richard Picker Collection of Colonial & Early American Coins, October 1984, lot 284. Lot tag included.